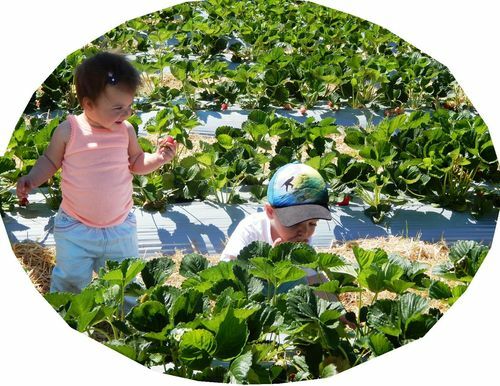 Bring the whole family for a delicious day out picking your own strawberries. There is no charge to pick, all you do is let us know you want to go picking. We will give you a basket and explain what to do ..... then just head out to our "patch" and pick a minimum of one kilo...more if you like. Bring them inside and we will weigh and package them for you ready to take home and enjoy. Mornings are preferred.....don't forget to be sun smart. 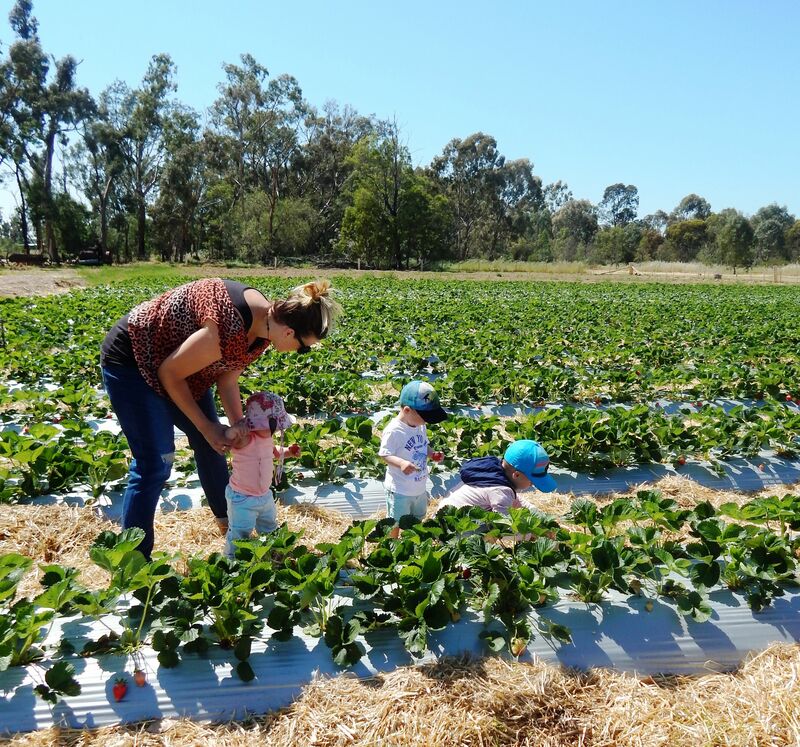 Call the Big Strawberry on 5871 1300 to check on availability if you are planning a day out.